On February 5, 2019, the Annual Management Meeting of KMG International (Group or KMGI) took place. There was summarized the results of Group’s activity for 2018 and defined the main tasks for the medium-term period. According management accounting data, in 2018 KMGI Group has registered positive operational and financial results. So, according unaudited management accounting results, the operational profit (EBITDA) reached 249.7 mln. USD and the net result indicator was 86 mln. USD. At the same time, the main indicator of KMGI activity for the period under review was the achievement of new production records in all business segments – processing, retail and trading. The key operational drivers were an increase in the processing volumes of raw materials and production of finished goods, as well as a significant increase in sales of petroleum products in Romania and in the region. In accordance with 2018 results, Petromidia Refinery – the biggest asset of the Group and one of the most technologically advanced crude processing unit in the Black Sea region, has reached new maximal operational efficiency indicators. The total volume of raw materials, processed in 2018 by Petromidia Refinery, was 5.9 mln. tons, 1 mln. tons more than initially planned and it represents the highest level of processing during the entire 40 years history of the Refinery operation. The volume of finished products at three KMGI production facilities in Romania – the Petromidia and Vega refineries, as well as at the Petrochemicals platform – for the period under review amounted to a record 5.8 million tons. There was recorded an increase in the production of marketable petroleum products – gasoline, diesel and jet fuel at the end of 2018. Also, new highs were reached in the production of the main line of petrochemical products – polypropylene, bitumen and hexane. A significant growth underwent also the Retail sales volumes. Internal and external wholesale and retail channels amounted 3.35 million ton for the period under review, which is by 59 ktons higher than in 2017, and by 1,25 million ton higher than the indicator of 2012. Herewith, the profits from non-fuel retail sales increased up to $ 21 million, which is 28% ($ 6.3 million) higher than last year, and more than double than 2012 indicators. The crude sales to third parties have reached new records. Exports of raw materials and petroleum products sold through Trading Channels amounted to 14.9 million tons, which is 2.7 million tons more than the result of 2017, as well as 10.3 million tons higher than in 2012. The profit margin from third-party activities amounted to $ 48.1 million, which is 16.7 million higher than in 2017 and almost tripled (by $ 17.9 million) compared with 2012. The achievement of operational high results in 2018 was also facilitated by the implementation of internal programs aimed at the progressive development and further diversification of the business. Due to the company’s internal financing, there were implemented project aimed at optimization and improvement pf the cost-effectiveness of processing, logistics and sales, as well as the transformation of current activities in order to reduce operational expenses and increase profitability. Also, as part of projects aimed at expanding the regional distribution network in Romania, Moldova, Bulgaria and Georgia, about 200 new sale points were opened (including fuel stations, express stations, skids and reservoirs). “In 2018, the operational activity of KMG International Group was carried out in full accordance with the scheduled plans and Group Strategy, approved at the beginning of the year. In terms of key production indicators, the last year was the best out of more than 10 years of the National Company KazMunayGas ownership over KMGI. 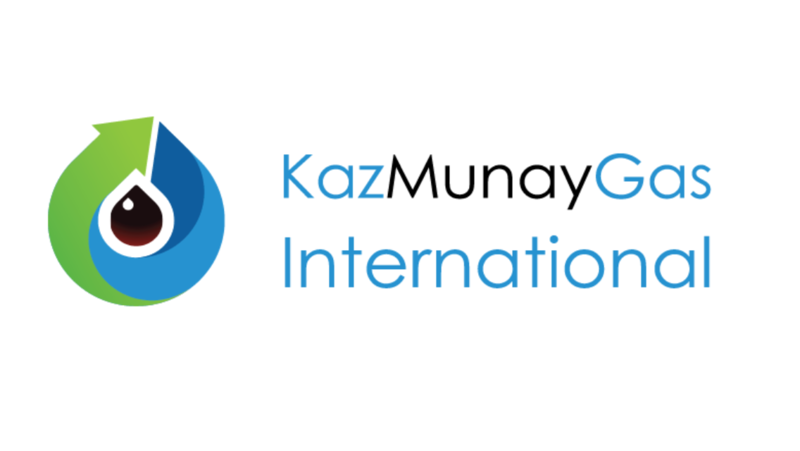 In medium term, we intend to double the net profit indicator, to continue implementing NC KazMunayGas strategy for expanding its presence on the international market and, consequently, to increase the shareholder value of the entire KMG group of companies”, – Zhanat Tussupbekov, CEO KMG International, has noted. In 2019, KMGI intends to start the implementation of projects for the construction of a cogeneration plant at the Petromidia Refinery, as well as expanding its retail network of filling stations in Romania, the main market of its presence. As expected, these infrastructure projects aim at improving the financial sustainability and profitability of the Group, will be implemented within the framework of the Kazakh-Romanian Fund. In addition, projects for the integrated digitalization of refineries and the expansion of the logistics capabilities of the refinery. In total, over the next 5 years, the company plans to implement about 100 projects with an IT component in all business segments. «KMG International N.V.» is a 100% subsidiary of NC “KazMunayGas”. It is an integrated international oil company activating in the sphere of oil refining, oil products sales and industrial services on 11 main markets. The Company owns a retail network of more than 1100 gas stations and sales points in Georgia, Bulgaria, Moldova and Romania, where two Refineries of the Company (“Petromidia” of Navodari and “Vega” of Ploiesti) and a petrochemical plant “Petrochemicals” are situated. The activity of the Company is concentrated in the Black Sea Region. Positive trends and high operational indices are mainly determined by the successful completion of the revamp and production increase program carried out on the main refinery of the Company – “Petromidia” of Navodari. As a result of the revamp program, the production capacity of Petromidia has reached from 3.8 to 5 million tons of crude oil, the Refinery has started production of Euro-5 standard fuel, and the processing depth reached 94%. Prime cost of crude oil processing has been reduced from $28 to $17/ton during the period between 2012 and 2018. During the revamp program of the Refinery, a new petrochemical platform has been constructed, which produces high-density and low-density polypropylene and polyethylene.